This post is sponsored by Carter’s. All opinions are my own. Thank you for supporting the brands that I love. One of my most frequently asked questions is Zoe’s sleep schedule. 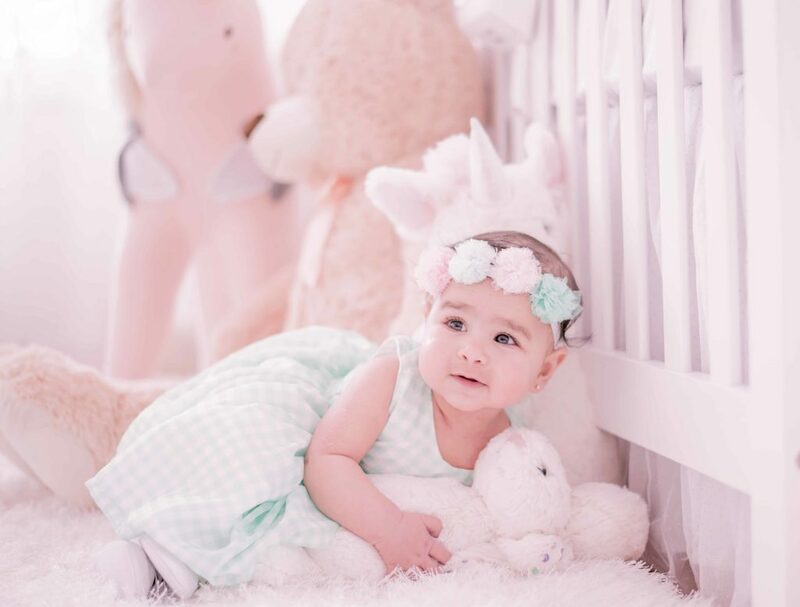 She is now 6 months old, so I figured I’d share a bit about that and how we worked towards it. Now there are days, when this schedule is completely out of the door and she wakes up much earlier than her usual time, in which case, everything shifts. Or there are days when she might be having a growth spurt and refuses to nap during the day or is hungry before the usual meal time. If she wakes up earlier than 6am or in the middle of the night, then instead of feeding her (although it is tempting to do, because it is an almost sure shot way to get them to sleep ) – we try to calm her down and put her back to sleep. Otherwise most days, we try to maintain this schedule or atleast steer close to it. The key to working on a sleep schedule is starting as early as possible. And ensuring your family, caretakers ( nanny/day-care/family member who might be helping out ) stick to it. Track your baby’s eating and sleeping times and understanding a pattern. Once your get a hang of that, assign everything around it. Realizing that baby’s cues come first – schedule and everything else is secondary. 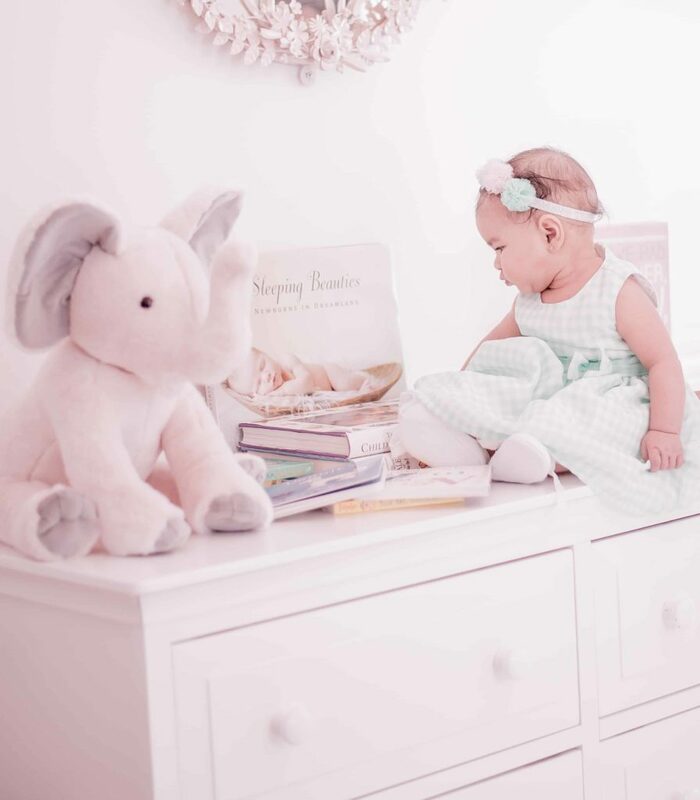 Expect that the schedules that we work so hard on establishing will change with growth spurts, introduction to solids ( and other foods as they grow ), activity milestones ( rolling, sitting, crawling, etc. ). The most important thing to understand is, every baby is different and so is their schedule. 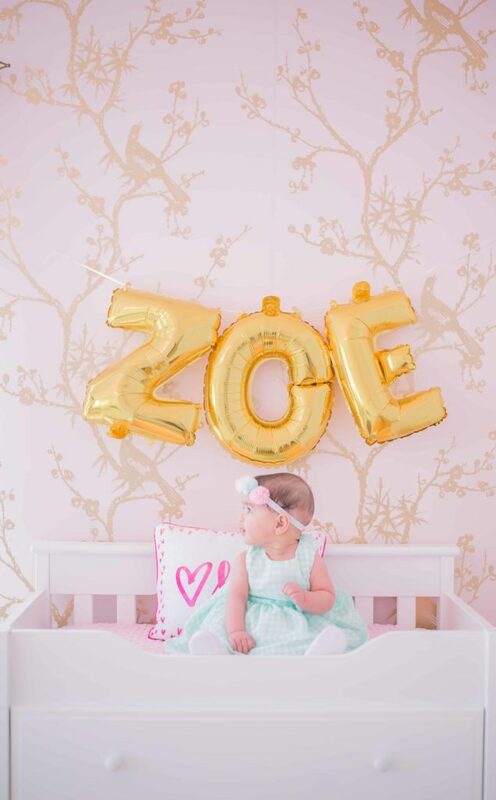 Zoe looks so adorable! Thank you for sharing these great tips! Looks like you’re doing good, mama! I began sleep training Aviah right around the 6 month mark, too. It was no easy task, as she was sleeping in her bassinet next to me and then co-slept for a little why. But, I’m glad she’s adapted to her crib. Solids are so much fun, aren’t they?! I like seeing what she’ll like most and her reaction, haha. Carter’s is probably the number one place I shop for Aviah. I shop their site at least once a month, they have the cutest clothes and I’m such a fan of their pjs! Thanks for sharing and I hope you have a great week! Sounds like you all are doing well! We love Carter’s in our house. Such cute things! Wow. Time indeed flies so fast. 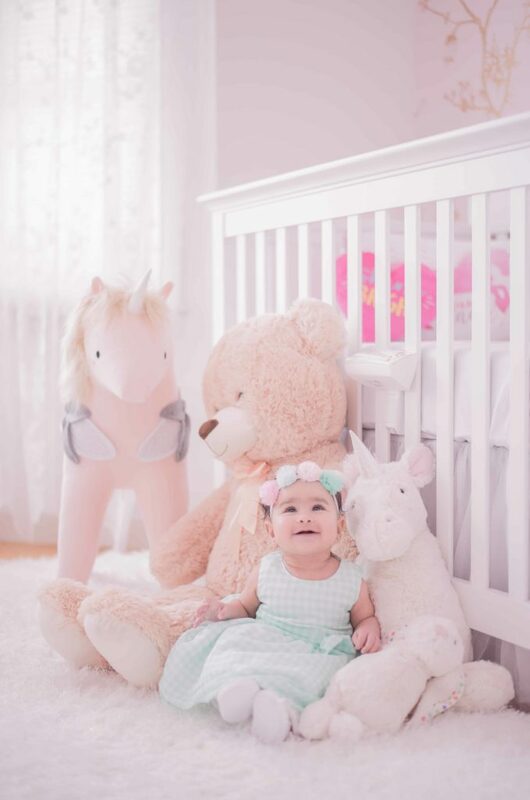 Zoe is sooo adorable, and her room is so pretty too! 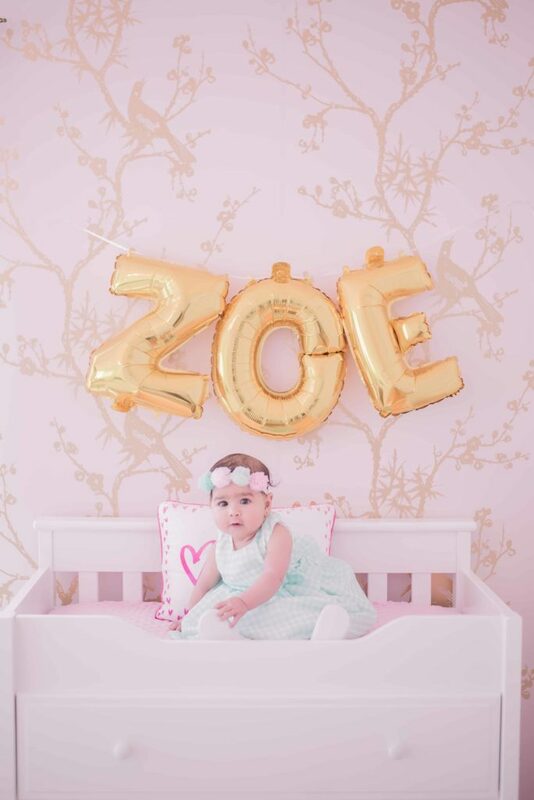 Zoe is so adorable! 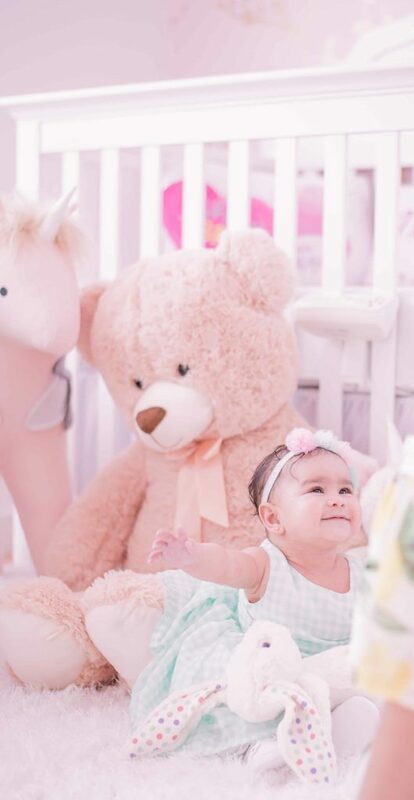 Can’t believe she’s 6 months already and it sounds like you’re doing a pretty good job!Happy Monday, babe!